These two titles are Available here. George Gillespie (1613–1648). George Gillespie, according to Principal John Macleod, was “one of the mighties of his age which was so fertile in massive heroic figures in the field of evangelical Christian theology.” His brief ministry stamped an indelible impress on the Westminster Confession of Faith, particularly those chapters dealing with ecclesiology. More was wrought by him in eleven years, for the good of the Reformed churches, than most men accomplish in a lifetime. … His … Assertion of the Government of the Church of Scotland, shows how Presbyterians can claim a Divine Right for the institution of ruling elders, and of the various courts which form a part of their polity. This edition has been re-typset and compared to the first edition of 1641 when necessary, and an extensive amount of bibliographical work enhances this new edition. Paperback, 220 pages, 6″ x 9″ format. $16.49. George Gillespie (1613–1648). George Gillespie, according to Principal John Macleod, was “one of the mighties of his age which was so fertile in massive heroic figures in the field of evangelical Christian theology.” His brief ministry stamped an indelible impress on the Westminster Confession of Faith, particularly those chapters dealing with ecclesiology. 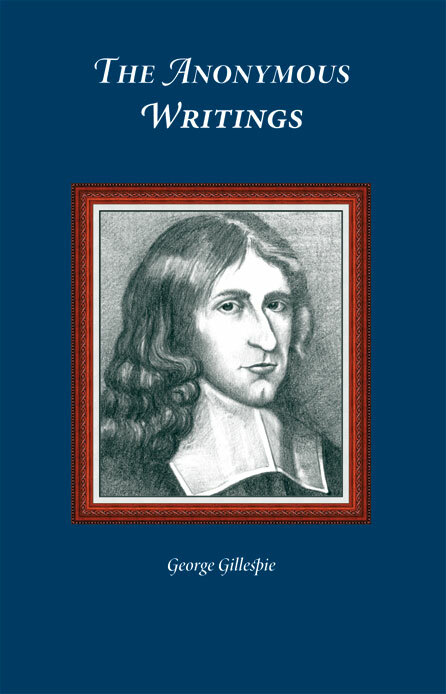 More was wrought by him in eleven years, for the good of the Reformed churches, than most men accomplish in a lifetime.” This collection contains the anonymously published tracts attributed to Gillespie, with research proving authorship. The anonymously published tracts are: Reasons Against the Service Book (1638) Dialogue Between a Civilian and a Divine (1644). Faces About: Or, A Recrimination charged upon Mr. John Goodwin (1644). Wholesome Severity Reconciled with Christian Liberty (1645).